IGCSE, AS Level and A Level Course Revision - Shapefuture is an endeavour of iverticals web technologies Pvt. Ltd. Started with an aim to explore the future of education. Shapefuture believes that everyone has the right to a world – class education. Recognizing the existing barriers in academia, we continue our efforts to curate an unparalleled collection of IGCSE online past papers, Professor notes, video and online test. Shapefuture has a diverse and highly educated professor of over 2000 teachers UK, United States, India, Australia, China and Southeast Asia for imparting world – class quality service. Shapefuture with its personalized teaching methods, ensure that students not only master basic to advanced level concept but also meet their short -term and long term academic goals. To help you learn skills you need to achieve your full potential. Our mission is to provide world-class and high -quality content to student around the world. 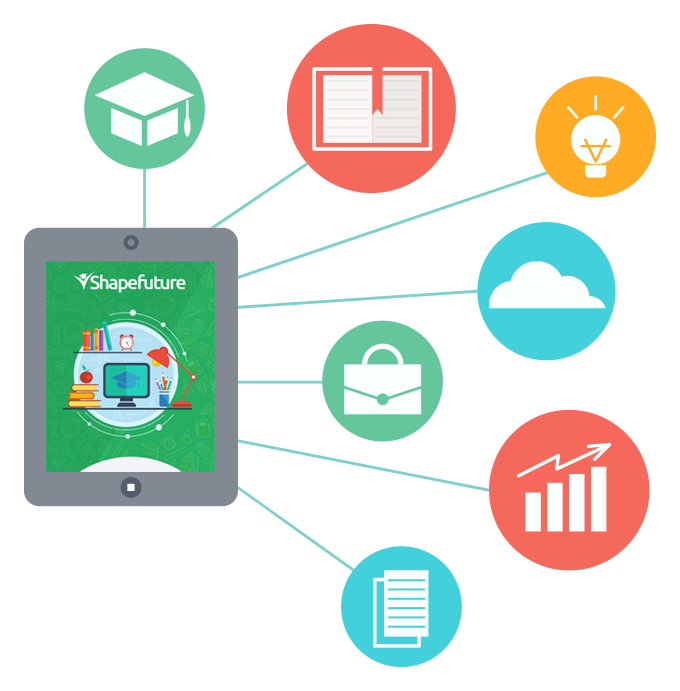 Shapefuture is the premier online destination for affordable education and tutoring services – anytime anywhere and in any subject. Students can access our service from the convenience of their home or school. • Use global education resources, the internet and technology to help students worldwide achieve their education goals. • To make world-class education accessible and affordable. • To leverage technology, education and management and improve of students around the world. We are a professional, young, passionate team who first think and analyzing and working together and try to change the face of Study. Mr. Rakesh Kumar is the CEO of Shapefuture.in. He has started his journey with a small scale MLM projects after his graduation. He has completed his MBA & worked for various projects across India. His continuous strives and hardworking comes into many large-scale projects like Sarthak Bazar in retail business, Green City and GCI Group in Infrastructure Projects, Iverticals in software and many more. He believes that online education can add significant value to students. Mr. Ranjit Srivastava has more than 10 years of experience in business strategy, Application Development & Project management. He has completed his BCA PGDCA MCA and worked for various projects across India. His keen interest to help Students excel the art and Skill of passing competitive Examination. Mr. Ashutosh Mishra has completed MCA. He has successfully completed many project. He believes that students are the future of the country and you can shape your dream country by shaping the student's education. Mr. Rahul has completed M.B.A. in Finance and Marketing. He has successfully completed various projects of Finance and marketing. He believes that “Successful and unsuccessful people do not vary greatly in their abilities. They vary in their desires to reach their potential”. Mr. Guddu has completed B.tech. He is very Ambitious and self – Motivated. He believes that “The past cannot be changed, The Future is yet in your power”. our experienced University Services Adviser can help you select the right A Level courses for entry onto your university course of choice, and can advise on all aspects of university entrance.